With its roots in the 15th century Italian Renaissance, ballet has been an important part of the arts for more than 500 years. This beautiful and talented ballet dancer is reaching for the stars with arms raised and on the tips of her toes. 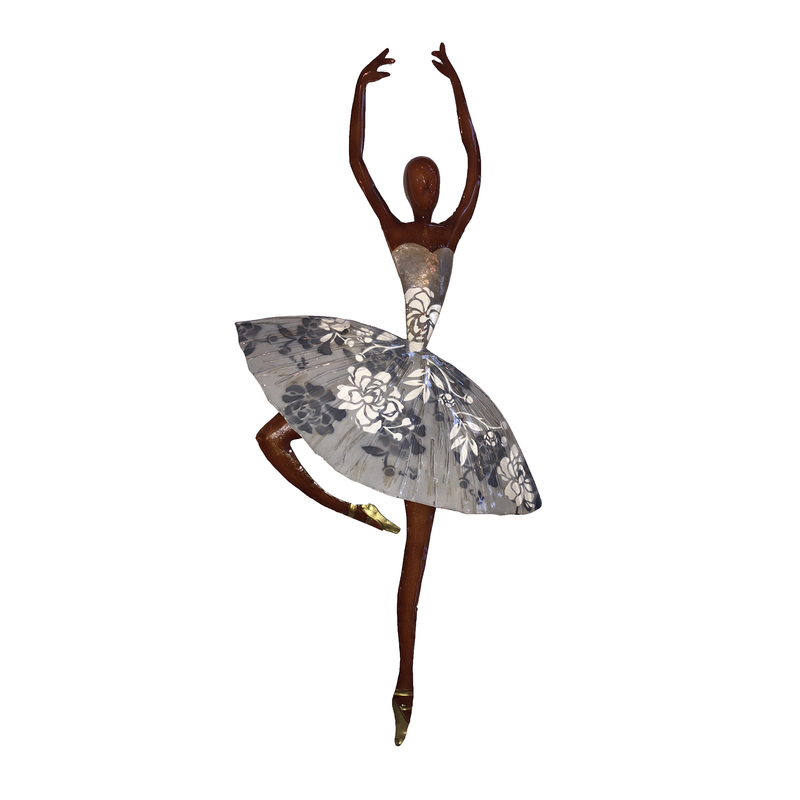 The artisan uses metallic flakes, colors, and capiz shell to highlight the intricate and colorful leotards, famously worn by ballerinas during their performances. 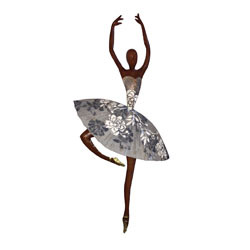 The basic frame of the ballerina is created using tin, which is powder coated with a black finish. The frame is reinforced using tin wire along the inner edge. Capiz is an oyster shell and the primary purpose of the oyster is as a source of food. However, the by-product, the shell, can be used for decoration.